WILLEMSTAD - The management board of InselAir International B.V. is very pleased with the decision of the bankruptcy court of Curaçao to extend the suspension of payment, which was provisionally granted on March 14, 2017. The management board of InselAir International is very appreciative of the vote of confidence shown by the positive response of the many creditors that accepted the proposal for the extension of the moratorium. The management of InselAir International sees the extension as an opportunity to eventually provide its commercial partners with an improved benefit in a very near future. 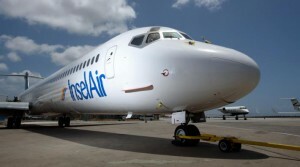 But more importantly, the operations of InselAir International are assured to be maintained for the future. Meanwhile, the management board will continue its pursuit of a strategic partner with the assistance of all stakeholders.